If you need a quick card, suitable for any occasion, then I highly recommend the Wishing You Well stamp set, available in the Holiday Catalogue. It's an extremely versatile set and can even be used for Christmas cards. 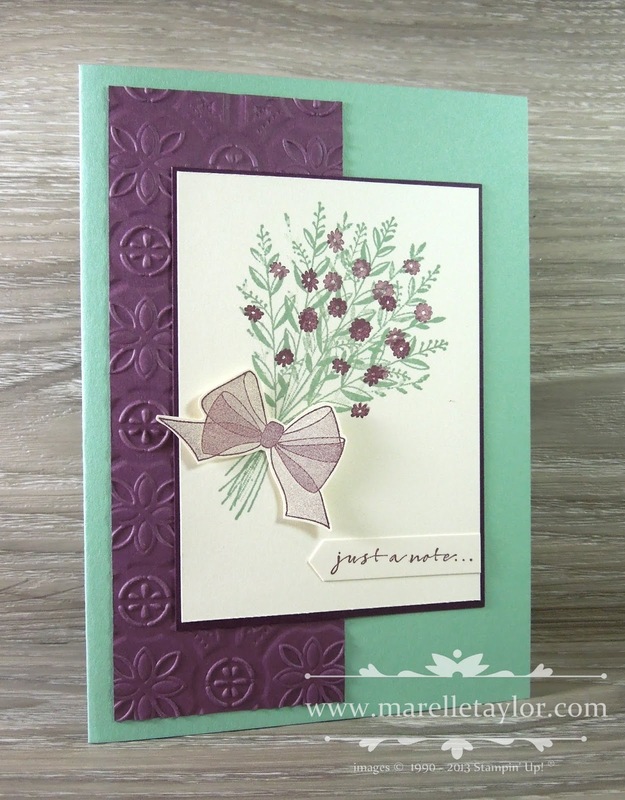 It's a DistINKstive stamp set, which means lots of impact and depth with just one stamping. I've also used the Tin Tile embossing folder in the background, for some added texture. There's also a subtle shimmer, thanks to a spritz of Champagne Mist Shimmer Paint (mix a few drops with isocol in a spritzer bottle). My colour scheme here is Fresh Fig, Blackberry Bliss, Mint Macaron and Very Vanilla. Thanks for visiting. I hope you're having a great week!